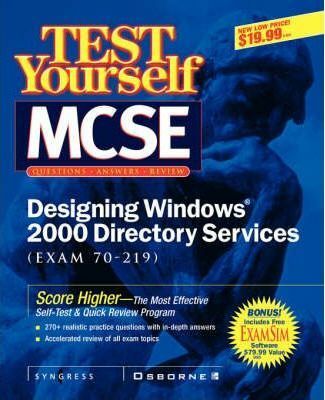 This is a compilation of practice exams, which hopes to provide MCSE's with the knowledge and skills needed to design a security framework for any sized enterprise network using Windows 2000 technology. The aim is to provide a broad exposure to exam style and to build up knowledge and confidence. You have a Windows NT Server that is acting as a Domain Controller. When the Windows 2000 network is in place, you will no longer need this server as a Domain Controller, but you still want this server to be available for network file storage. Which of the following will you do?A. Before upgrading to Windows 2000 Server, demote the Domain Controller. B. Before upgrading to Windows 2000 Server, run DCPROMO to demote the Domain Controller. C. Upgrade the Windows NT Server to Windows 2000 Server, and then run WINMSD to demote the Domain Controller. D. Upgrade the Windows NT Server to Windows 2000 Server, and then run DCPROMO to demote the Domain Controller. D. Upgrade the Windows NT Server to Windows 2000 Server, and then run DCPROMO to demote the Domain Controller. When inventorying servers, you should consider the role servers will play in the Windows 2000 Active Directory network. DCPROMO is awizard in Windows 2000 that allows you to promote servers to be Domain Controllers or demote Domain Controllers back to servers. A is incorrect because once you make a Windows NT Server a Domain Controller you cannot change it from that role without reinstalling the operating system. B is incorrect because DCPROMO is a tool available only with Windows 2000 Server. You need to upgrade the server to Windows 2000 before using it. C is incorrect, because WINMSD is a tool that allows you to view current hardware configuration, but it has nothing to do with the promotion or demotion of servers and Domain Controllers.